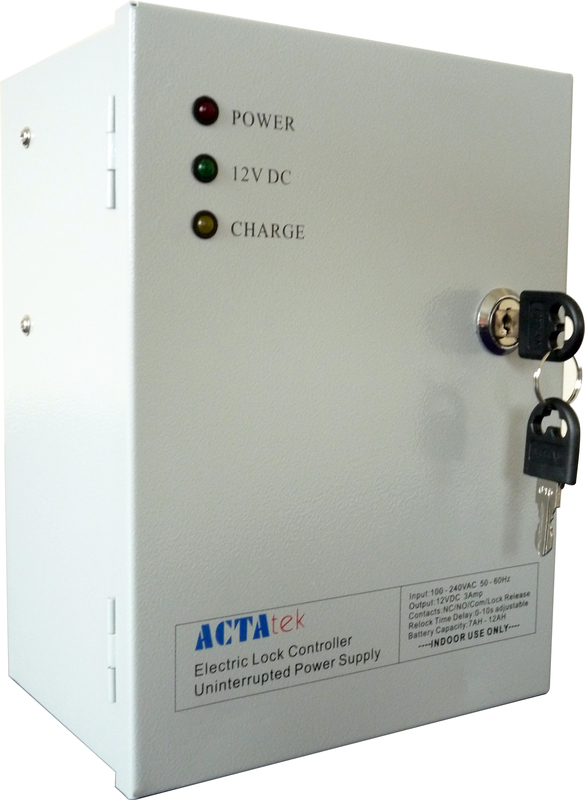 When Businesses demand critical uptime for their Time Attendance and Security Access Control devices, the ACTAtek UPS (Uninterruptible Power Supply) unit delivers constant reliable power supply and added surge protection to protect your devices from power-related damages and the inconvenience with loss of use on times you need it most. 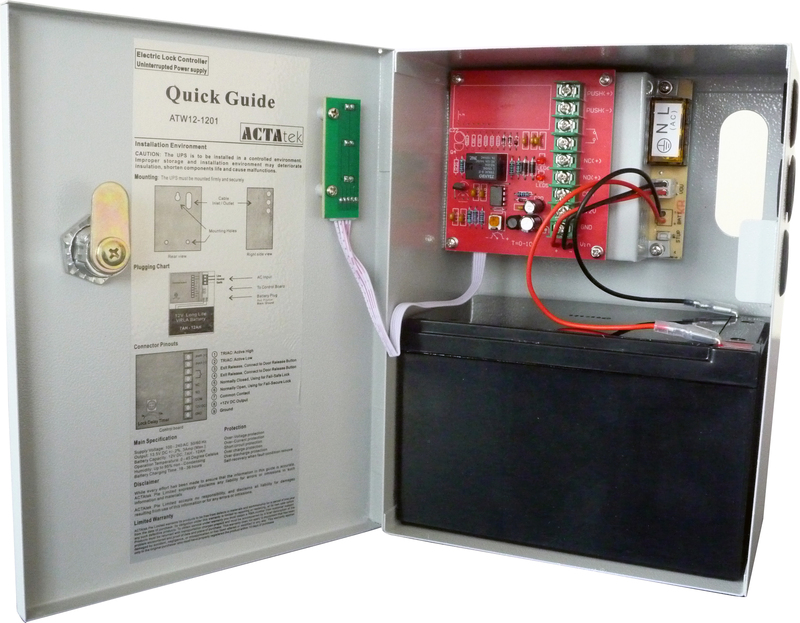 The ACTAtek UPS is enclosed in a heavy duty case to prevent vandal attacks and harsh environmental conditions, but comes with the convenience of wall mountable holes and key lock for added security. 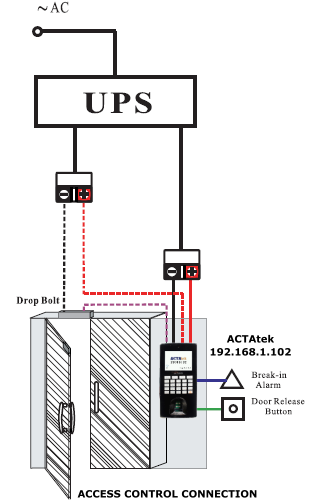 Also the ACTAtek UPS has an in built secure external relay and electronic door lock control enabling consistent security functions even when the power is out for many hours. The battery in the UPS has the operational ability of up to 16 hours* without charge and is completely maintenance free as the unit will self charge once it detects an available power source. Heavy duty casing protecting the UPS from harsh environmental conditions and vandal attacks. Wall mountable and added key lock for security and convenience. 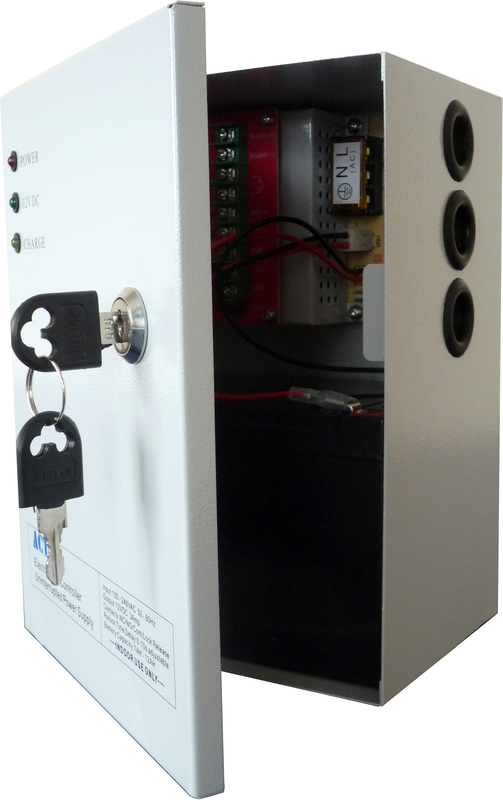 Inbuilt Electronic Door Lock controller and Secure Relay, allowing continuous door security use of up to 10 hours. Heavy duty battery with AGM (Anti Glass Mat) technology, enabling higher resistance to voltage spikes and temperatures while having the benefits of longer battery life. Virtually maintenance free, battery recharges itself when the UPS detects a power source.